The TOLEDO LED wall light: Making more of elegance! Many wall lamps look elegant but they seldom succeed in combining elegance with something new. The TOLEDO LED wall lamp however combines elements of elegance - a frame of antique brass, white glass and a vibrant design - with an unusual shade shape. It is separated once by a perimeter strip of rich antique brass. The shade has varying shapes on either side of this separation in the shade creating a visual effect that makes the TOLEDO LED wall lamp something quite unique. A 4.0 watt LED bulb is included. However any bulb with an E27 base of up to 60 watts can be used. The light can be operated as a dimmable light provided that you replace the light bulbs to dimmable E27 light bulbs. An external wall dimmer switch will also be required. Can you get a cool white bulb with this light. Thank you for your query. Yes, the item number 7260744 is a cool white option, for example. 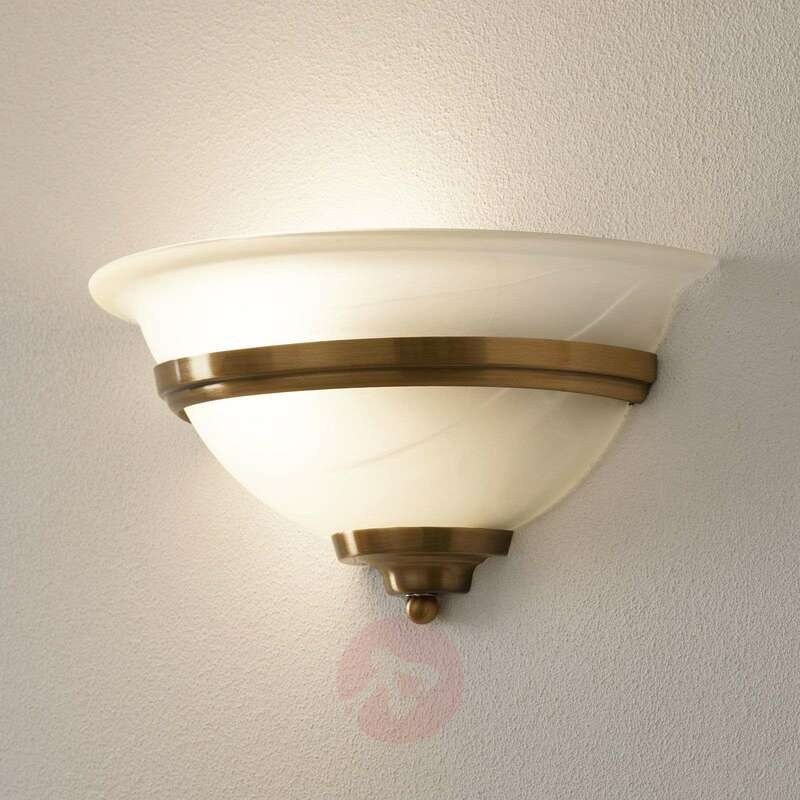 It is always difficult to match a photo to the real product, This Toledo Wall light is 99% accurate to the picture. Well done. The actual product is of good quality and value for money. The delivery and prompt service is typical of what I've come to expect from German Companies, Excellent. I will purchase from you again.